What’s more in Fun Run 3: Arena MOD? Jogging brings us a lot of health benefits. There have been many races around the world such as the Marathon. If you love racing game, let play Fun Run 3: Arena. However, in this game, the race is a deadly dangerous competition, not just a sport. 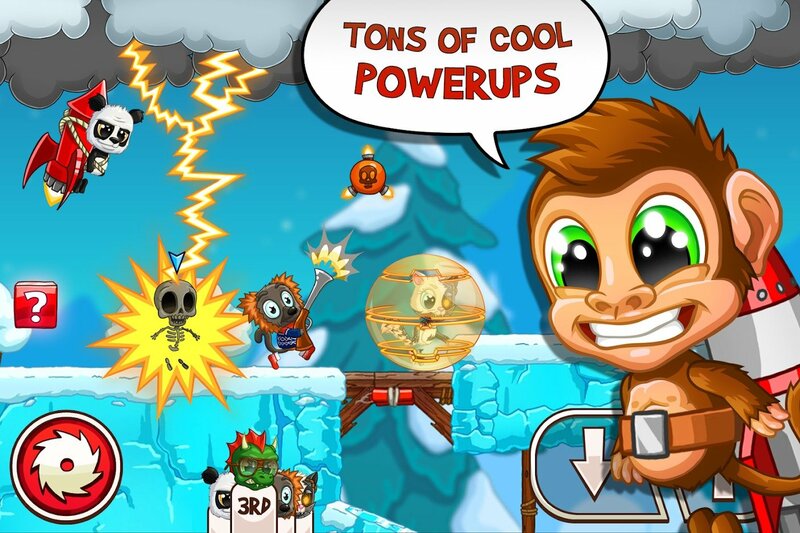 Fun Run 3: Arena is the third installment in Fun Run game series of Dirtybit. In general, the game still retains the fun, naughty of each race as the previous version. The main purpose of the game is to participate in the race, challenge the other 7 players, try to crush the opponent and become the winner. At first glance, you probably think that the game looks familiar and not stand out but when you experience will be completely different. You will be surprised when the game is equipped with a horizontal view and the context of the race is quite similar to some adventure games like Sonic Runners Adventure or Super Cat Tales 2. The quick run seems simple, but in Fun Run 3: Arena that is not as easy as you think. On racetracks has many obstacles and bad moves come from opponents to stop you. You will have to avoid the blade, dodge the lightning bolt or pass the bear trap. After each race, rely on your efforts, you will be rewarded. However, not every race participant will get rewarded, and you will only receive rewards when you are one of the 3 fastest finishers out of 8 players. In addition to racing with 7 other players, you can join the clan battle with dramatic race 2vs2. Or you can invite friends to play with, this certainly helps people have a lot of fun moments. 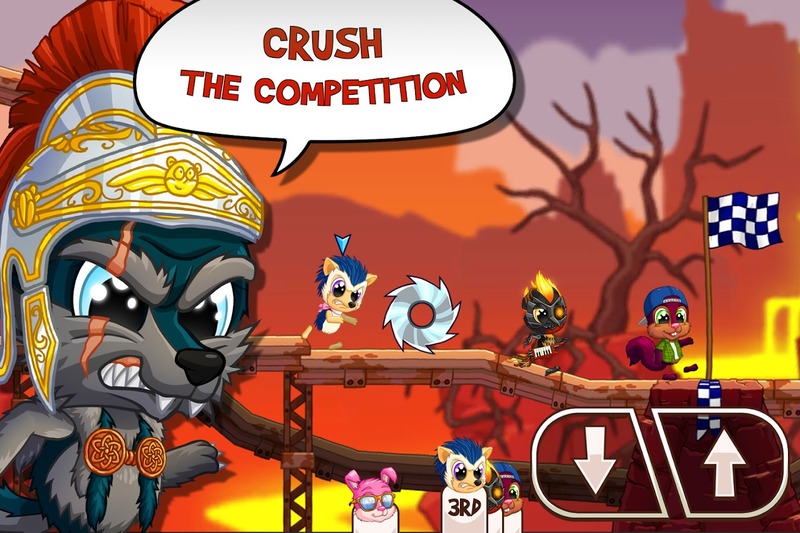 Fun Run 3: Arena is a race between online players all over the world. To play the game, your device needs to be connected to the internet. Ads will occasionally appear in the corner of the screen or some promotional videos. You may feel uncomfortable, but it does not really affect your experience in the game. You will choose one of the more than 70 pets, participate in the race. Moreover, you can change the fashion accessories for them. A cool cat with a cool hat and sunglasses, that sounds pretty fun. However, when the animals are trapped, they are cut off from the limbs and have some rather bloody effects, so I do not think this game is suitable for young children. 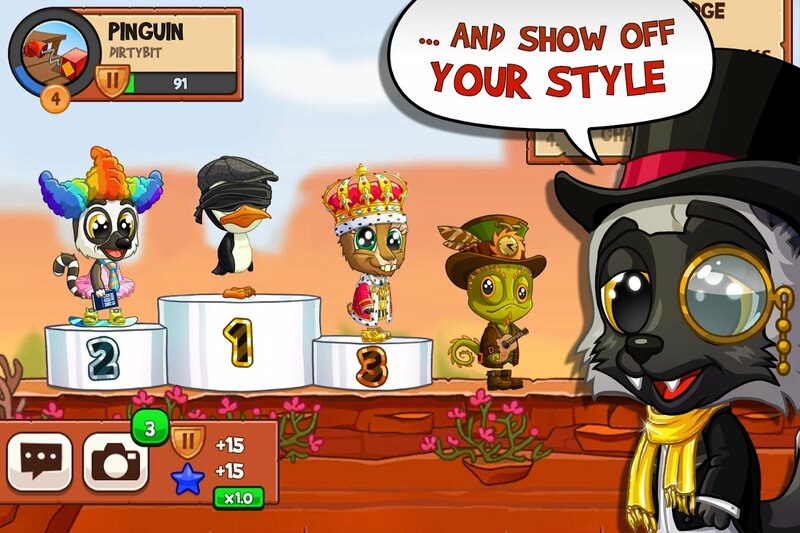 Fun Run 3: Arena MOD allows players to unlock all items and characters. If you do not like spending too much time to earn money and unlocking, use this version. The game requires your device to run Android 4.1, 2GB of RAM and does not require root device prior to installation. I think Fun Run 3: Arena is a perfect upgrade and has fixed some bugs compare to the previous version. The graphics quality is improved dramatically as well as many more features. If you are a fan of the racing game or like Fun Run 2, you should not be miss this game. Please select a version that suits you in the links below and download the game for free. Don’t forget, jogging is a great way to keep your body healthy, so let go jogging every day! 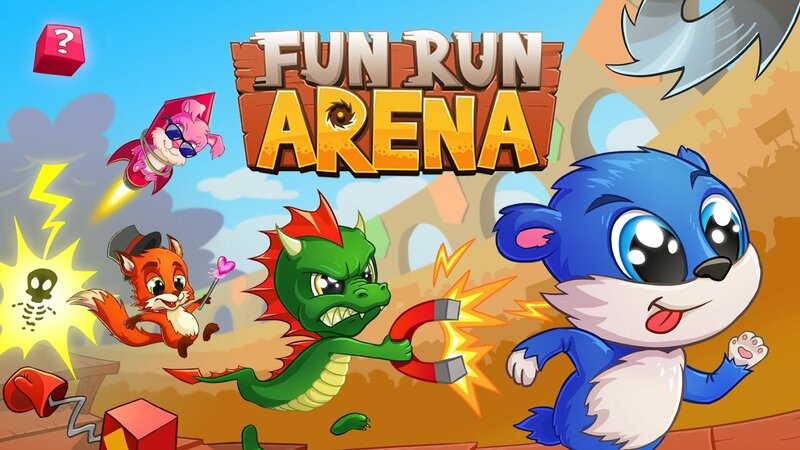 Fun Run 3: Arena MOD APK is ready to download! 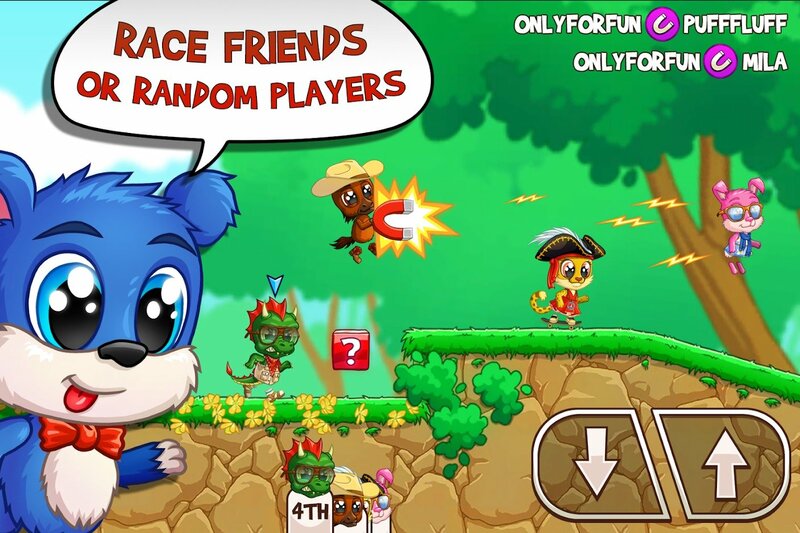 Depending on your needs, you can download Fun Run 3: Arena MOD APK or Fun Run 3: Arena Original APK. Or install from Google Play / App Store if you want.